An order taking app that allows your sales reps to showcasing catalogs and take orders in real-time. Reduce cost of massive paperwork. 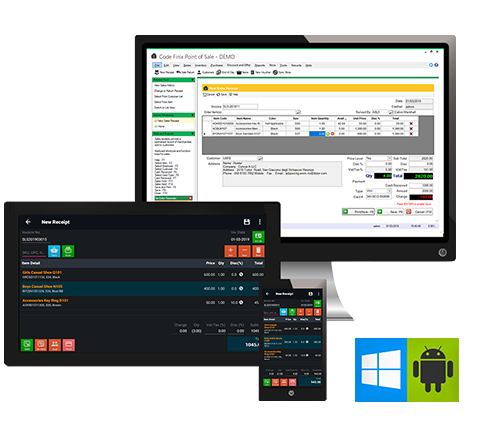 When considering a new POS system for Windows or Android, you will want to first think about the nature of your business and the features you require. Professional software offers label designing and printing solutions with support for barcodes, databases and various shapes. 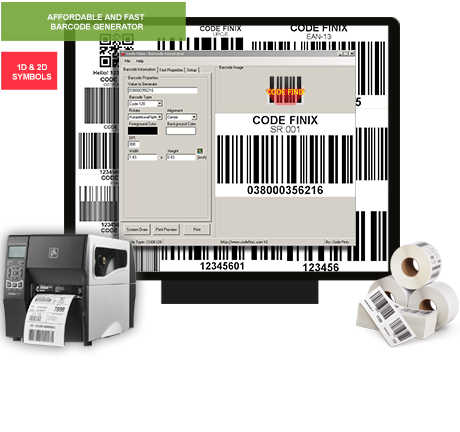 Barcode solution for your Shipping, Warehousing, Price/Item Marking, Retail, Library and print Barcode labels, stickers and tags. Increase your productivity and sales flow. Make your sales rep closer relationships with your customers. Sales and Inventory integrated with Code Finix POS helps make running your business better than ever. Design and Print software helps you quickly design labels and create an efficient printing process. Easy way to generate Linear Barcodes, 2D Codes, GS1, Postal Barcodes and many more! Our Logo Design services creates sharp, professional logos that fully communicate your brand. Our top product and service trends driving consumption all over the world. Our POS Software Solutions reach far beyond traditional point-of-sale systems. From real-time reporting to extensive customer relationship with ease of use, speed and accuracy. 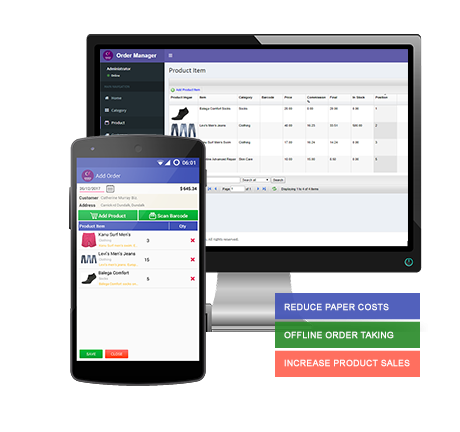 Integrated offline order taking along with online synchronize app that allows your sales reps to showcasing catalogs and take orders in real-time. Program supports 26 major standard 1D/2D barcodes that are easily readable and printable by commonly used barcode scanners and printers. Print and design your own packing labels, price tags, address labels, mailing labels, envelopes, CD/DVD labels and more!! 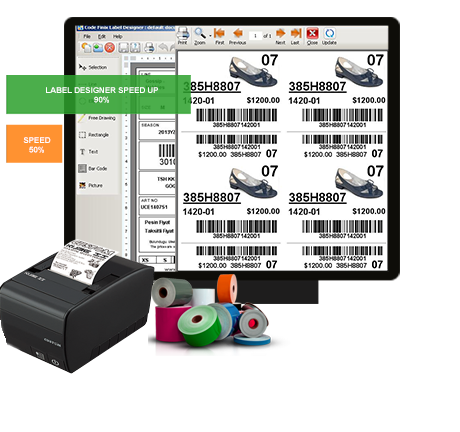 Office solution software for your labeling and printing needs. Design and start creating your own custom label formats. Built in database supports. Our professional in-house designers create a custom logo you're guaranteed to love. If you have any questions don't hesitate to contact us via e-mail Or just give us a message through our contact form. © Code Finix. All Rights Reserved.